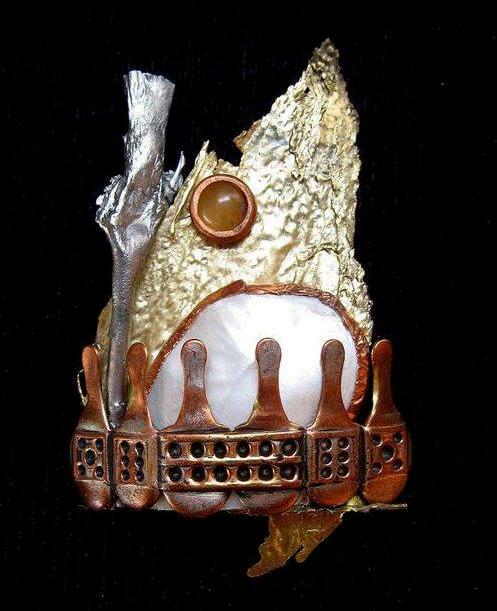 This entry was posted in gallery, jewelry, lost and found objects, metalsmithing and tagged Accessories, art, assemblege, bezel, brass, eco friendly, found, jewelry, nature, recycled, upcycle by jane case vickers. Bookmark the permalink. so gangster….if i wore broaches, i would rock this.